I’d seen “NOS” energy drink around for a while, but aside from noticing that the logo was sort of clunky and spelled “son” if you looked at it upside down, I didn’t think too much about it. Considering all the attention paid to the negative influence of energy drink brands with names like “Cocaine” and “Hemp,” I was surprised not to have known about a “Nitrous Oxide” energy drink. 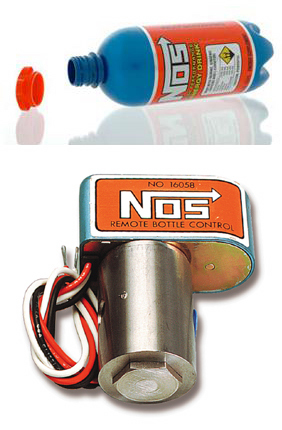 NOS even put out a version of their bottle, designed to resemble a Nitrous Oxide Systems tank, but it’s more about caffeinated racing cars, than huffing inhalants, apparently. “The authentic package design of NOS 22oz PET was inspired by the actual nitrous oxide canister, developed by Holley Performance Products, which prompted the design and use of ‘valve’ over caps,” said Bill Meissner, Chief Marketing Officer at FUZE Beverages. The packaging is instantly recognizable and the association with Holley’s Nitrous Oxide canisters has been well received by customers, vaulting NOS to No. 7 in the energy drink category. With such similar looking packages in different product categories, is there any danger of consumer confusion, a la Skinny & Sweet? 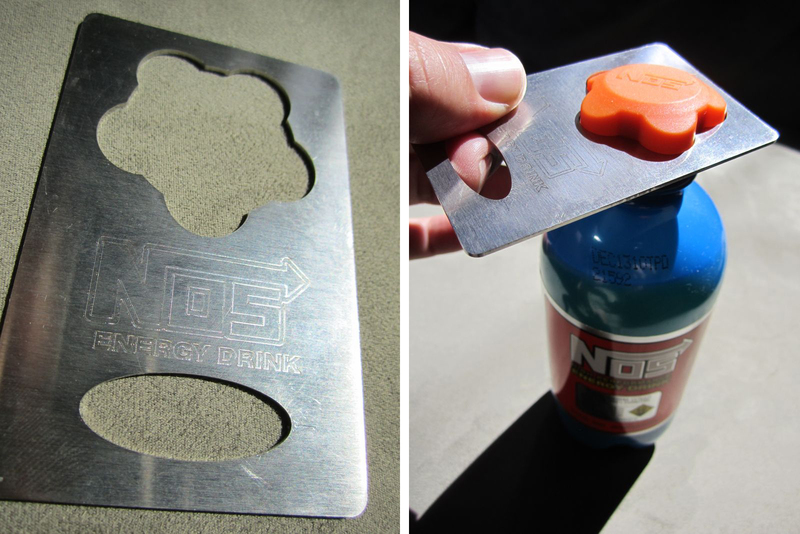 Adding to the NOS consumer confusion, there are also two kinds of NOS bottle opener. One is an ad promotional for NOS energy drink. 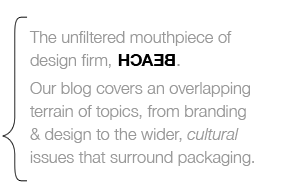 (Photos above from above from DrinkNOS blog.) Note how it’s designed to fit over the faux valve. Note, too, how the award winning PET bottle has a twist off cap and does not really require a bottle opener.